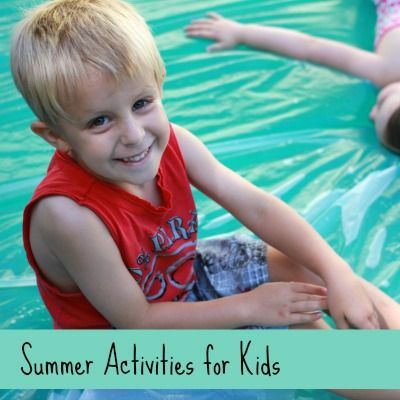 We have been having so much fun painting this summer! 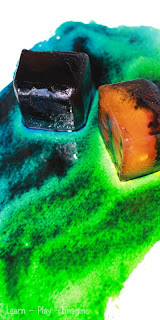 I enjoy creating new recipes for homemade paint, and Tank and Peanut (24 months) are thrilled to test them out. 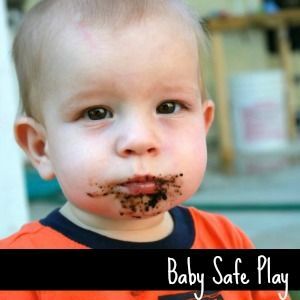 A few of our recent favorites include scented finger paint, scented puffy paint, and scented sidewalk chalk paint. Can you tell we've been having a lot of scented fun? These smoothie paints aren't scented, instead they are frozen! 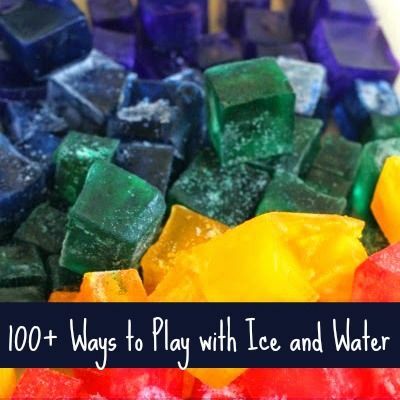 Frozen paint is perfect for summer fun, and this recipe for play is perfect for a hot day. Directions: I squirted a generous amount of shaving cream into our Vitamix then added a small amount of paint. I dropped two handfuls of ice on top then blended the ingredients at a medium speed. If you have a Vitamix you know that it will blend everything smooth, so I chose a medium speed to keep chunks of ice in the paint to keep the paint textured. 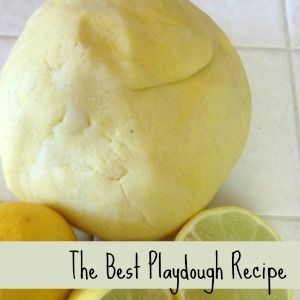 If you don't have a Vitamix you can still make this recipe for play in a regular blender. Add water to the blender first, and use less ice. I made each color individually. 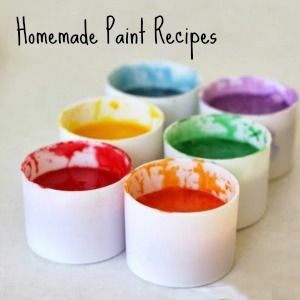 You could also use food coloring, liquid food colors, or any paint to color the paint. I chose tempura paint, because it kept the paints nice and thick. If using a blender other than a Vitamix you might want to consider using a liquid color, so everything mixes easily. Peanut and Tank stood near me in the kitchen while I whipped up the smoothie paint, loudly saying, "Mmm, mmm!" I told them over and over that I was making paint, not an actual smoothie. By the time the paint was ready they were eager to play with it. I put a shower curtain on the table then covered it with butcher paper. They loved the paints! They didn't even try "drinking" from the straws. Instead they used the straws like paint brushes. Each time they touched the smoothie paint they said, "Hot, hot." I answered with, "It's cold, isn't it?" Later that evening we played in the sprinklers. The water was pretty chilly, and they both said, "It's cold, cold." 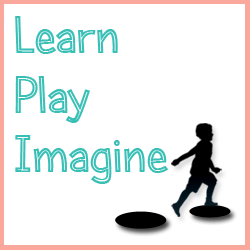 Another perfect yet simple example of how children learn through sensory play. Tank did not branch out much past the pink paint. He smeared it around between his fingers, smelled it, and used the straw to spread it on the paper. Peanut, on the other hand, explored the smoothie paint until most of it melted. He cautiously dumped the bowls of paint onto the paper watching the colors run together. 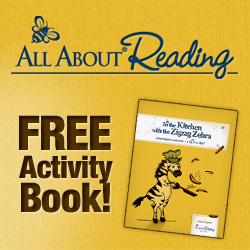 The melted paint created a vibrant and smooth, chilly finger paint for him to mix. The overturned paint reminded me of ice cream or sherbet. Before long I put my camera down and joined him in play. For homemade paint recipes follow me on Pinterest. 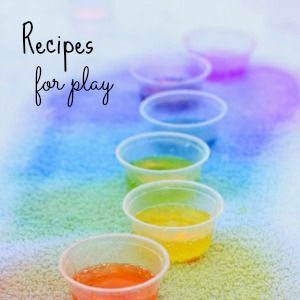 The more the smoothie paint melted, the messier this recipe for play became. 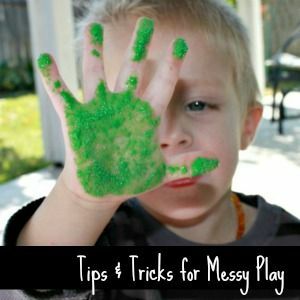 Here are my best tips and tricks for messy play as well as laundry tips to avoid stains. All of our clothes washed clean, and I hosed off the back patio immediately after play. 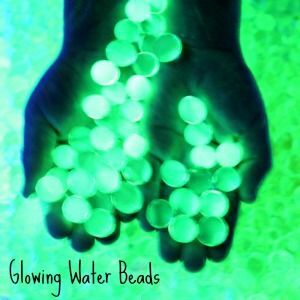 Ok, this stuff looks SO AWESOME! And could your photos make it look any more delicious! 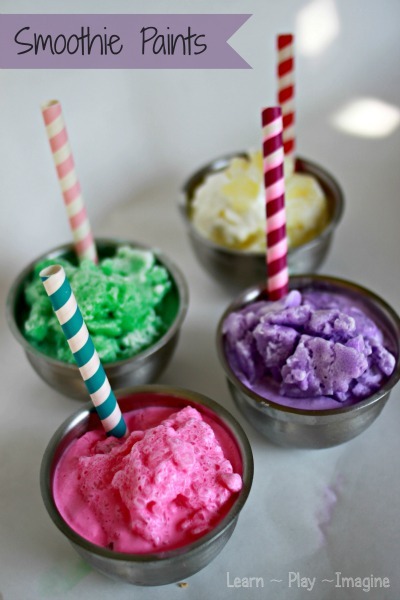 Love the whole thing - the colours, the texture, and the straw "paintbrushes! Tempura is a style of Japanese fried food. Yep. *ducks head in embarrassment. * Someone recently pointed this out to me, and I have so many posts that need to be edited with the correct term. Whoops!